Table Hockey with the San Diego Gulls! The San Diego Gulls are the top farm team of the NHL's Anaheim Ducks. See the stars of the future playing in San Diego right now. 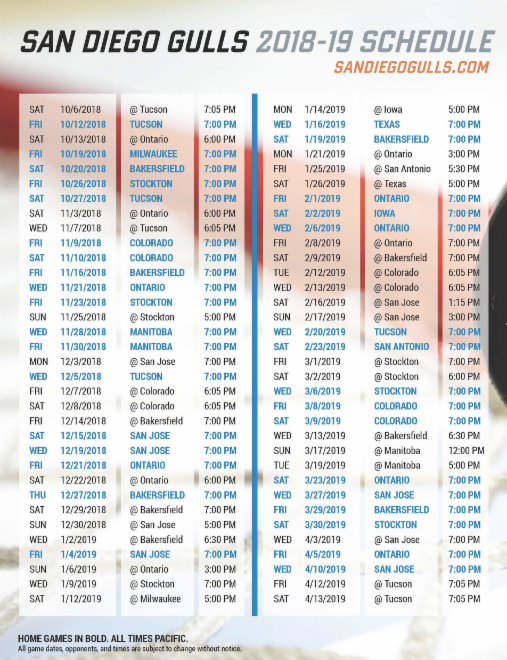 Make your plans to go watch the Gulls play top-tier minor league hockey. The American Hockey League (AHL) is the top level of minor league hockey in North America. All 31 NHL teams have an affiliate in the AHL. The AHL has 27 teams in U.S. cities and 4 teams in Canada.